Don't go INSANE washing the entire linen every day, just the Brolly Sheets. 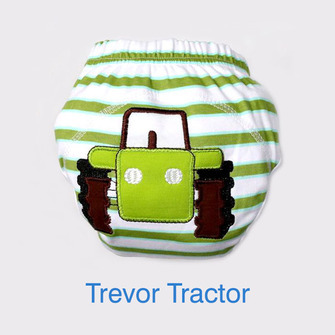 You need to lose the nappy to successfully achieve dryness at night. This is your BEST solution! 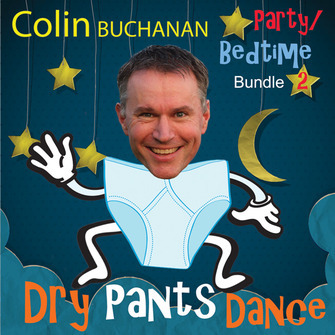 Manage Wetness for Night Training - No more stripping the entire bed linen at 2am! 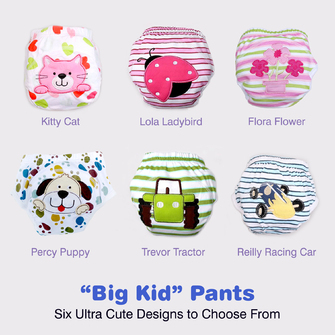 The Waterproof Sheet Protector keeps sheets dry through Toilet Training. Most parents only have a Waterproof Mattress Protector. 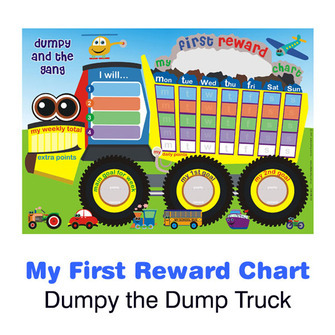 This does not help you at 2am in the morning if your child wets. If you only have a Mattress Protector you still have to strip the entire linen - and the mattress protector. Wash the entire linen - and the mattress protector. And remake the entire bed at 2am in the morning. With a Waterproof Sheet Protector, you simply remove and keep going. The sheets are dry. You don't have to remake the bed. The Waterproof Sheet Protector is washing machine and dryer friendly, making it even more convenient to manage wetness... and keep your santiy. 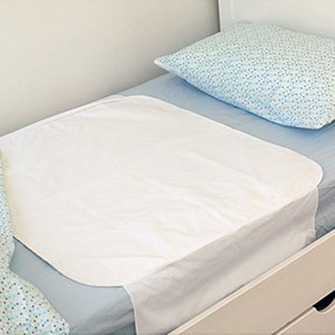 Simply place the sheet protector on top of the bed sheets in the wet zone, just down from the pillow. 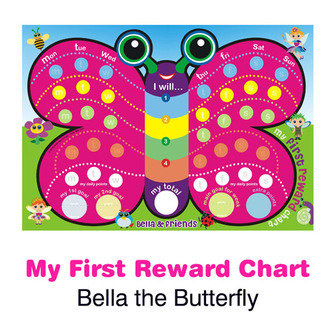 Your child feels like they are sleeping on a normal sheet. There is no plastic-like feel at all. 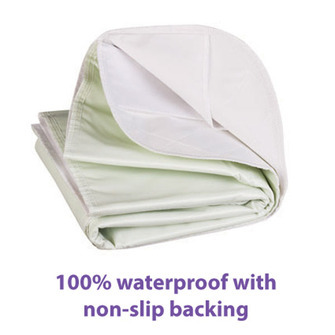 With a fully waterproof backing, it keeps the sheets dry in case of middle-of-the-night accidents. If your child wets the bed, there's no need to remove the sheets, just the Waterproof Sheet Protector. 100% waterproof with non-slip backing. There are two side wings of fabric approximately 50cm long that tuck under the mattress to keep the Waterproof Sheet Protector in place. Designed to fit a King Single bed. 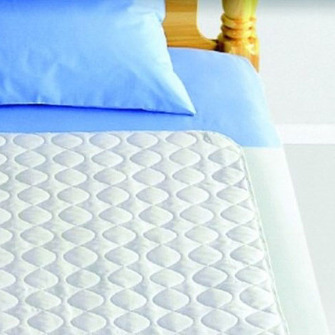 If your child is still in a cot or using a the cot-size mattress in a toddler bed, then the Waterproof Sheet Protector can fit length ways along the mattress, covering almost the entire mattress. 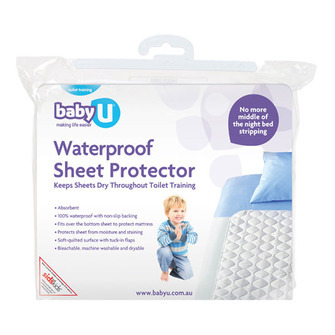 Recommend using the Waterproof Sheet Protector with the Big Kid Pants with a Waterproof Layer to help manage wetness for the top sheet / doona, particularly in Winter.